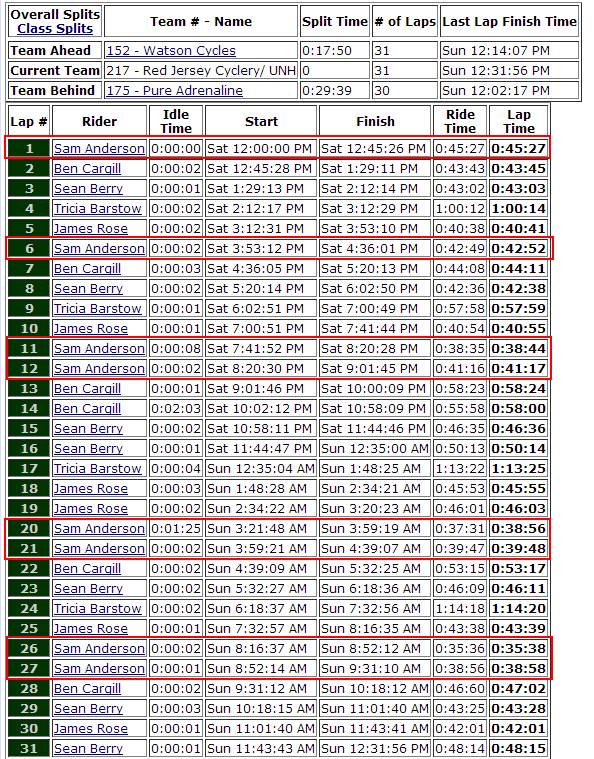 Cross Nationals Qualification Criteria: Is It Fair, and Do We Need It? Yesterday's post touched very briefly on a subject that many New Englanders have the luxury of ignoring: USA Cycling's 2015 change to cyclocross nationals qualification criteria. 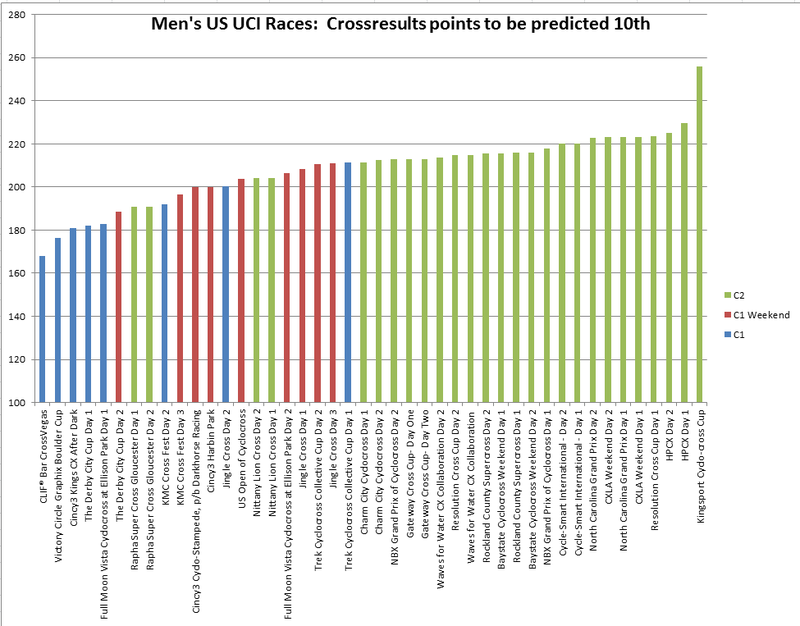 As of 2015, to race the elite race at nationals you needed either (1) at least one UCI point or (2) to be in the top 90 of the ProCX calendar. 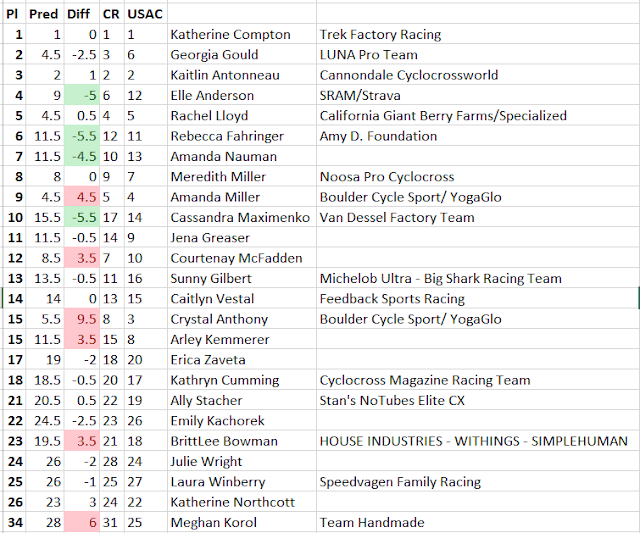 The ProCX calendar is "all the UCI races in the USA" but with points going deeper than 10 (I think 20 or 25). 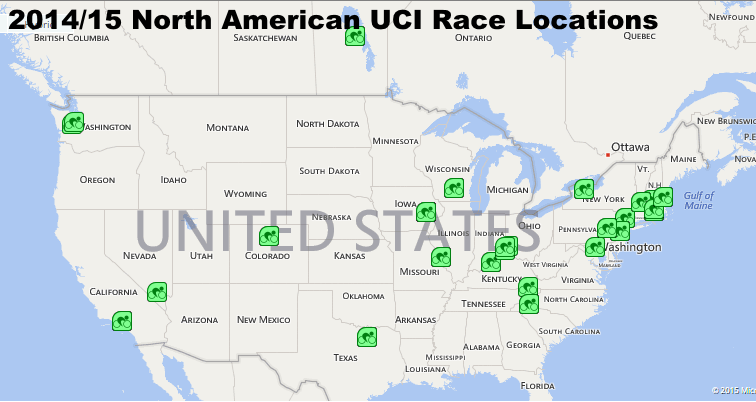 There's so many UCI races within 90 minutes of Boston (10), you can't even see them all on the map! You know it's gonna be a nerdy post when the title is that dense. I've spent the last month trying to pretend that I'm not delaying recovery from this IT band injury by cross-country skiing on the weekends, but it's time to face the facts, if it hurts I shouldn't be doing it, period. So this weekend instead of exercise I'm looking at databases! Wheeeee! 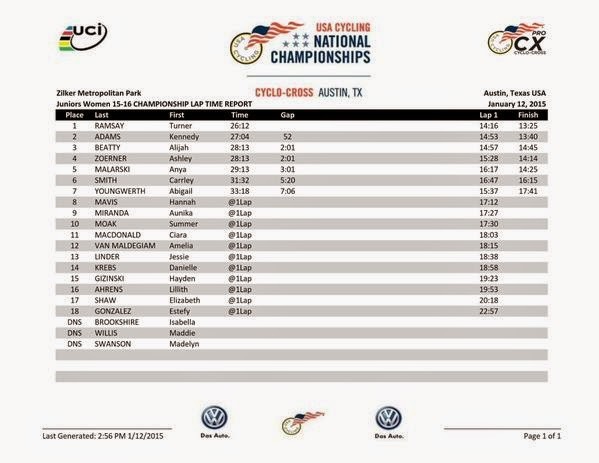 Paul Boudreau emailed me about two months ago, asking for some information on how a UCI 'cross race going from a C2 to a C1 affects the quality of the field. Obviously it was a tough enough question that I ignored him for a good long while, but I finally got going on it yesterday, and here's the results.